Take all prescribed and OTC medication as directed. Report drug side effects immediately to your doctor. 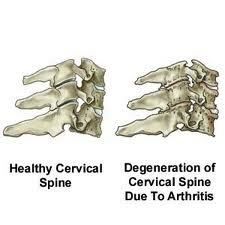 Visit the chiropractor for periodic gentle spinal adjustments to correct misalignment and maintain good joint mobility. Seek a reasonable level of activity every day, and follow the home exercise and stretching program provided for your condition. Avoid heavy lifting, exaggerated neck and lower back postures, sleeping on your abdomen, wearing high heels, or engaging in any home or sport activity that is beyond your ability. Maintain a healthy weight that avoids stressing the joints of the spine, pelvis and lower extremities. Contact your doctor if symptoms do not respond as they usually do, or worsen and you are not able to control pain as before. Discuss questions or doubts about your spondylosis with your doctor, chiropractor or physical therapist. Learn how to make peace with your spondylosis, since neither of you are going away. Pain that is not manageable and worse for no apparent reason, even after doing the things and using the medication that normally helps it. Loss of balance or coordination of any limb movement or placement. Slow or sudden appearance of nerve dysfunction, meaning weakness in one or more limbs, or reduced ability to feel touch, pressure, hot or cold (numbness). Partial or complete loss of bladder or bowel control, when accompanied by acute back or neck pain; inability to start or stop urinating, can indicate a serious nerve condition that should be attended immediately at the hospital emergency department. Numbness in the upper thigh and groin area, known as “saddle anesthesia,” because symptoms affect that part of the body that would contact a saddle; can indicate a serious nerve condition that should be attended immediately at the hospital emergency department. If back or neck pain is associated with fever higher than 100° F, uncontrolled arching of the back, or weight loss that cannot be explained otherwise. Spondylo- The “spondylo-“ or “spondy-“ part of a word is a Greek root word that means spine; any word containing it means the word somehow relates to the spine. Spondylitis – the “-itis” ending means there is inflammation going on in one or more spinal bones or vertebrae, as occurs in ankylosing spondylitis which is an inflammatory arthritis of the spine. The difference is that spondylosis is degenerative condition and spondylitis is an inflammatory condition. Spondylolysis – the“-lysis” ending means there is a break or destruction involved in the spine. (Think of how “Lysol” destroys bacteria.) More specifically it means there is a defect in the formation of a part the vertebra near the facet, called the pars interarticularis. 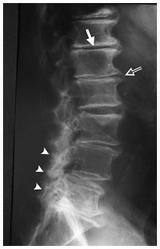 This defect called spondylolysis makes it easy for spondylolisthesis (see below) to develop. Spondylolisthesis – the “-listhesis” ending means there is slippage of a vertebra or spinal bone involved in this problem. In this case it is a forward or backward slippage of one vertebra in relation to the one above it or the one below it; the vertebrae have changed position to each other by one sliding forward or backward from each other. In an L5/S1 spondylolisthesis (also called a lumbosacral spondylolisthesis) the 5th or very bottom lumbar spinal bone has slipped forward in relation to the sacrum or base of the spine. This can also happen at the joint between L4/L5 and all the others above them. As a result of this forward slipping the spine at the level of involvement is not stable because of abnormal alignment and it creates great pain, instability and nerve related symptoms.